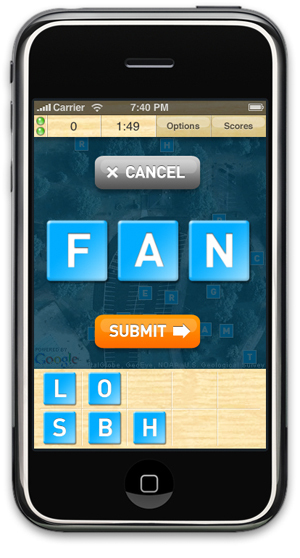 Virtual letters + real outdoor spaces = the only iPhone game that exercises your mind and body! Duration: 5-15 minutes. Multiple rounds will be played. Required: Loaner iPhone's will be provided or bring your own! 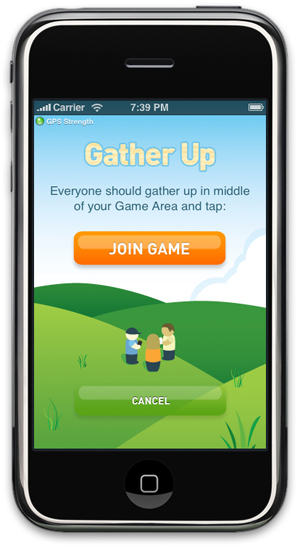 Seek 'n Spell is the first real-time outdoor game for the iPhone 3G that transforms gaming from a sedentary experience to a total workout for your mind and body! Combining outdoor spaces with virtual letters, Seek 'n Spell is the word game where you race against the clock to gather letters and spell words to score as many points as possible. 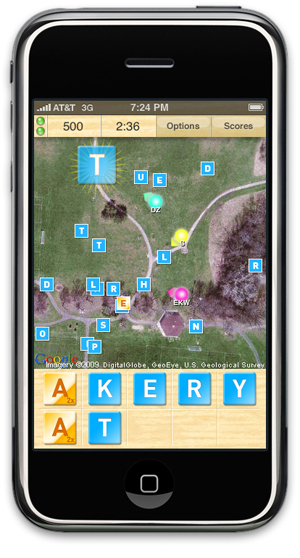 Head out to a park or other large outdoor space with a clear view of the sky, activate the app, and Seek 'n Spell will load a satellite map of your location and scatter letter tiles across the playing field. Run to a letter to pick it up, and collect up to ten at a time to spell as many words as possible. More points are scored for longer words, and keep an eye out for the golden letters - they double your score when used in a word. If you�ve got friends around, pass your phone off to see if they can beat your score, and if anyone else has an iPhone, get a multiplayer competition going. Think fast and run hard to get the letters you need to outspell your competition! 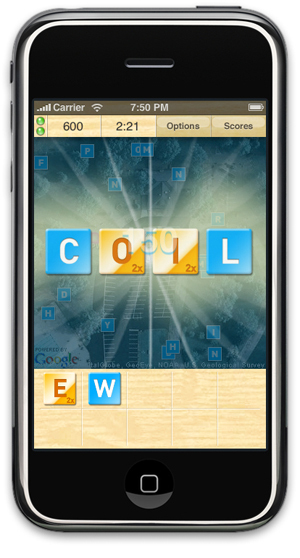 Just spell as many words as you can to score as many points as possible before time runs out. Don't even try to cheat - Seek 'n Spell won't let you submit words that don't exist! The Retronyms are a small band of San Francisco-based programmers and designers who write software for the iPhone, Mac, PC, and Unix. They try to blur the line between tool and game, creating entertaining tools and applications for consumers (especially in the multimedia space). They are very design driven and work hard to create software that looks great and works as smoothly as possible. Their iPhone application Recorder was the only business application to make the top ten list of iPhone apps sold for 2008.